You’ve just installed or upgraded to Windows 10, and your printer connected via parallel port refuses to work, giving an error message saying “printer is in error state”. Go to the device manager, find the parallel port and double-click it to bring up the properties sheet. 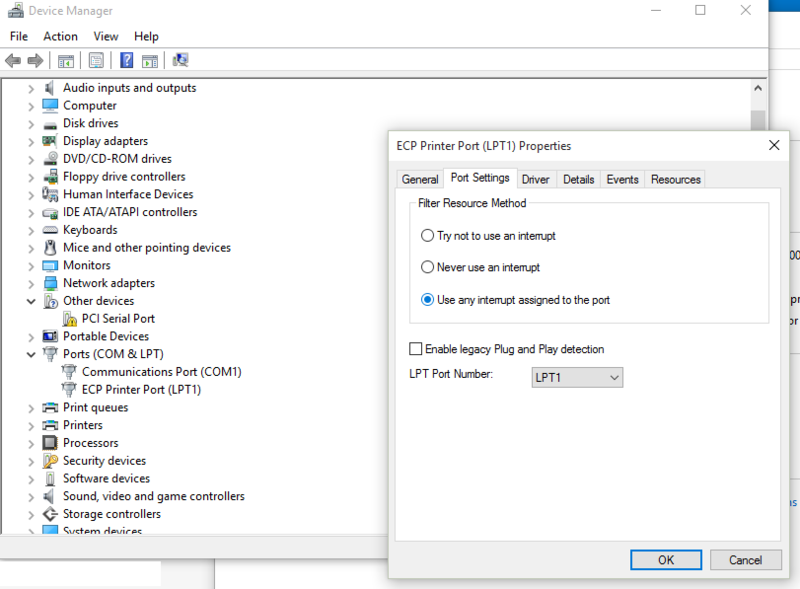 Click the “Port Settings” tab and then select “Use any interrupt assigned to the port” and click OK (see Figure 1 below). The printer should be detected and work properly. In some cases, solution #1 seems to work but the problem returns when the computer is rebooted. In that case, changing the setting described above back and forth will cause it to work again, but only until the next reboot. After a significant amount of time troubleshooting this on a few computers, we’ve concluded that Windows 10 just doesn’t print reliably with parallel ports. In stubborn cases like this, we’ve resorted to getting a StarTech USB-to-parallel cable, which essentially makes the printer look to Windows like a USB printer. In all the cases we’ve ran into, that has always solved the issue permanently. However, the brand of cable could make a difference. We used a TrippLite cable in one situation like this and it did not work, but the StarTech cable has worked every time. Please give us feedback if you have more insight into this issue. 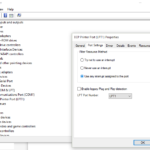 This entry was posted in Computers - Hardware and tagged ltp1, parallel port, printer error, windows 10. Bookmark the permalink.